Seminar “The Heart of a Pure Devotee” Part 3a (23 September 2011) by His Holiness Prahladananda Swami. from Lilasuka Das on Vimeo. 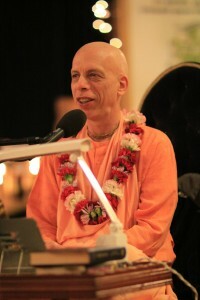 “The Heart of a Pure Devotee” Part 3b (23 September 2011) by His Holiness Prahladananda Swami. from Lilasuka Das on Vimeo. The Ministry sometimes helps devotees find resources so that they remain in optimum material health. It functions just like the health department of any government – but in a spirit of higher consciousness, basing all the educating material on natural means of treatment and preventive health, stemming from the Ayurveda or other useful and practical healing modalities. 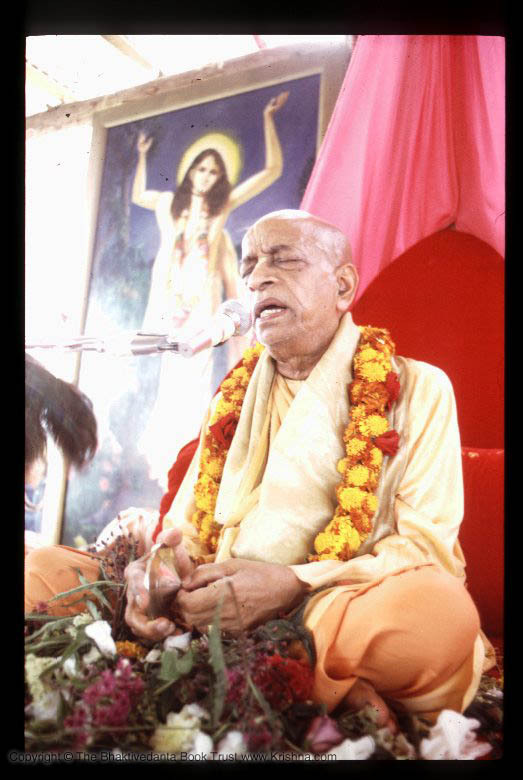 Since ‘prevention is better than the cure’, the Health and Welfare Ministry educates devotees within ISKCON on how to best maintain ones health. Maharaja also echoes these thoughts, and mentions how generally in ISKCON (and outside of ISKCON too) devotees only seriously begin to care for their health once they become ill, so one of the main aims of the ministry is to try and encourage devotees to take more care and interest in their health to prevent serious illnesses in the future. ‘Birth, old Age, disease and death are the natural inspiration to take it seriously’, explains Maharaja. Through seminars, and a regularly published magazine (Hope This Meets You In Good Health), Prahladananda Swami and his team of editors and contributors reach out to thousands of devotees about topics ranging from digestive health, to Ayurvedic Nutrition, and even how to overcome jet lag. It presents the ancient, yet relevant, wisdom of Ayurveda in an understandable way, and supplements these writings with modern scientific research as supporting evidence. The magazine also stresses the importance of our spiritual health, always referring back to Srila Prabhupada’s writings and teachings. With two comprehensive issues per year, the magazine is available for download from the Health and Welfare Ministry website in a multitude of languages. Apart from Vedic sources of health information, Maharaja also heavily bases a lot of his work on Srila Prabhupada’s teachings that are related to health. Each issue of the magazine, pays due homage to our founding acharya, and lists a variety of quotes from Srila Prabhupada that are associated with health – both material and spiritual. Prahladananda Swami is also coming out with a book collating everything he could find that Srila Prabhupada said on health, with different stories from the Lilamrita about Srila Prabhupada’s and health, and concluding with essays written by Maharaja over the years on different health topics. Prahladananda Swami has studied Ayurveda extensively and imparts a lot of this knowledge through the newsletters and seminars. For devotees wanting more specific information about certain health conditions or advice, Maharaja is also instrumental in connecting qualified practitioners to local yatras. He emphasizes how each yatra has a specific duty to ensure the care of their local devotees – the devotees offer their service for a yatra, and in return, the yatra must ensure that the spiritual and material needs of the devotees are well looked after. The Health and Welfare Ministry is truly all encompassing – looking after both the prevention and treatment side of illness. When asked about any general health advice for devotees, Maharaja gave a small chuckle and replied, ‘don’t eat too much’ – we’ll have to start monitoring what we eat at our Sunday Feasts!